Behold the Light of God! The glory of an endless sea of light. The difficulties we face in this life can seem unending at times. We lose our focus, adrift in uncertainty and the unknown. Nothing seems to have a definite form, like the changing clouds. We cannot break through the cover to see the light. Yet, we know it is there–on the other side. The Lord is waiting. 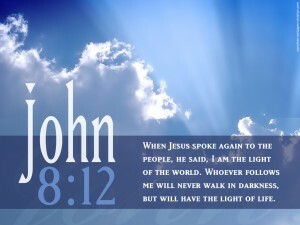 His Light will show us the way. We must rise to meet Him, bursting through our own cloud barrier, to see His brilliance and behold His glory.